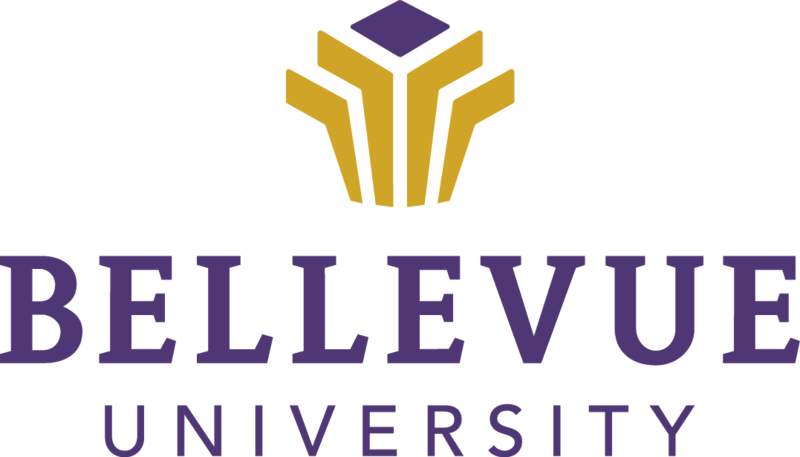 Founded in 1966, Bellevue University is a private, accredited, non-profit university. Bellevue’s Nebraska location offers career-relevant bachelor’s, master’s, and Ph.D. programs in both online and traditional, on-campus formats. By 2014, Bellevue University had graduated over 48,000 students. The school serves nearly 10,000 students each year between their 15 campus locations, found in four U.S. states – and online. Bellevue’s degree offering consists of 70 different degree-granting programs, as well as certificate programs. They have a College of Arts and Sciences (CAS) College of Business, College of Science and Technology, and a College of Continuing and Professional Education. Bellevue students can take advantage of accelerated degree programs, which can be completed in as little as 16 months. Additionally, Bellevue offers master’s degrees and a Ph.D. in Human Capital Management. The university accepts previously earned credits from accredited associate degree programs. It also has a generous transfer policy. To see how your credits may transfer to Bellevue, you can view their real-time Course Transfer Guide and search for your school’s name. Why Earn Your Degree Online at Bellevue University? Online learning is ideal for working professionals, military veterans, students with family responsibilities or those who are unable to attend classes on a campus. Bellevue University’s bachelor’s and master’s degree programs are accredited through the U.S. Department of Education’s Higher Learning Commission. Students may participate in cohort programs where they can experience peer-to-peer learning as well as the opportunity to learn from instructors who have real-world experience. Below are a some of the many degrees offered by Bellevue University. To view a complete list of programs, visit www.bellevue.edu. To request more information from this school, click on the “Request Information” button below.